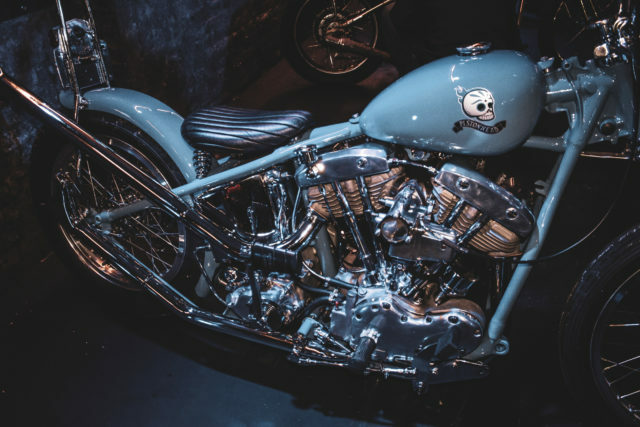 Swedish brewer Pistonhead has teamed up with chopper builder Vincent Summers to create a Harley ‘Pistonhead Bike’ inspired by its 0.5% ABV Flat Tire lager. 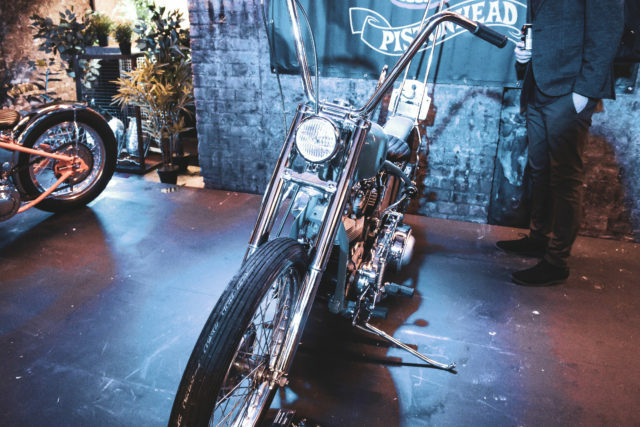 Summers took inspiration from the Bar Hopper bikes, a lighter framed 1960s inner-city chopper, which he said reflects Pistonhead’s low-alcohol beer. These bikes usually have a short wheelbase with a small petrol tank, fender and seat. For the Pistonhead bike, he built a 1960s 74 cubic inch (1,200 cc) v-twin Harley Davidson engine and transmissions. For the frame, he used a stock 1950s FL rigid dimension with early British Triumph forks and a BSA front brake. The bike also has ape hanger bars, a small petrol tank to show off the engine, a small sprung seat, tall sissy bar and long fishtail exhausts. It was unveiled at art, music and skateboarding venue House of Vans in London last week. Pistonhead was established in Sweden in 2011 and launched its Flat Tire lager in October 2017. Its range also includes Kustom Lager (4.6% ABV), Full Amber (6% ABV), Haze Lager (5.1% ABV) and a 4.5% version of its Flat Tire dry-hopped lager.